Brown Trout Blues came out on 1st September. 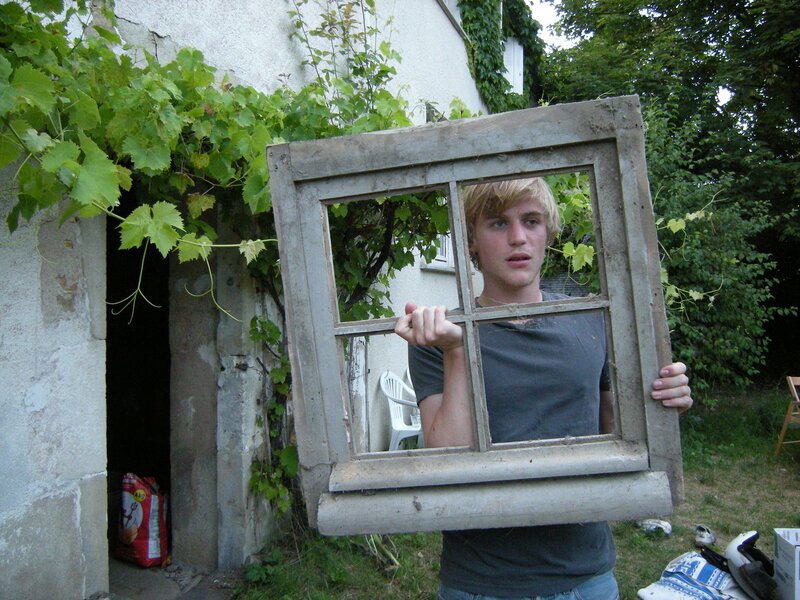 For Folk’s Sake caught up with the lovely Johnny Flynn only to find out he didn’t know a thing about its release. FFS: Tell us a bit about Brown Trout Blues, where did the inspiration for the song come from? Johnny Flynn: Well it’s loosely based around experience wanting somebody or something to be a certain way in a relationship and wondering how it could change. But then realising that that would defeat the point and that you can’t change someone they have to change themselves. The title is a thing that me and my dad had [Johnny’s dad was stage actor Eric Flynn, who died in 2002 – Ed]. We used to go trout fishing a lot and we caught a lot of rainbow trout, but we wanted to catch brown trout because they were quite rare so if we went out for a day and didn’t catch a one we’d say we had the Brown Trout Blues, so it’s kind of a joke that I called it that. Brown Trout Blues is a really heartfelt song, do you ever find it difficult to recreate the emotion you felt when you wrote a song on stage or in the studio? Yes it can be really hard I mean I guess that’s the skill, if you’re a good performer you can get to that state. When I’m playing with the band we all know what we have to do to get into the right mood before going on stage. When we were doing our album our producer, Ryan Hadlock, was really keen to create the right atmosphere he even ran around lighting candles and stuff, it was funny. It’s really important, though. Especially in the studio if you do a take and it doesn’t have the energy or spark or whatever then you might have blown it cos you just can’t afford to do it again. There’s real time pressure and it can be a struggle. It’s bizarre, sometimes I forget what I was writing them about because it’s such a precise emotion you’re only feeling it at the time when you’re writing and you’ve only felt it once, it can be hard. Do you think the acting helps [Johnny was a stage actor before his music career took off]? It’s the same thing but you’re not trying to fool anyone or be contrived about it. You just are, when you sing that song, you’re pondering that time when you felt that way. One of my acting teachers used to say that good acting isn’t acting at all it’s just reacting, you’re reacting to the text or the character or whatever. How are you expecting the song to do commercially, does that stuff matter to you? You and Laura are joint headlining, do you have a support act too? Mumford and Sons are playing on the tour as well, most of them would have been there anyway because half of Mumford and Sons are in Laura’s band. Your sister, Lillie, has been doing backing vocals and playing the flute in The Sussex Wit, will she be going to America? Lillie isn’t coming to America, she’s an actress too and she’s got a couple of really important auditions coming up. She’s also singing with Noah and the Whale’s band [the parts originally recorded by Laura Marling – Ed]. So who will be doing her part? No one really, we might ask Laura to sing on some things, we just kind of do without. Slightly different arrangements, we’ve done that quite a few times now, it is different. You’ve been an actor, and now you’re in a band, did you ever consider doing anything other than being on stage? I thought I’d be an English teacher for a while. But I was quite stuck really when it came to seeing the careers advisor, the only thing I could really think of to do was go to drama school. I got a couple of places at university to read English but I ended up going to drama school. Now the music has taken over do you think you’ll ever go back to acting? I’d like to go back to acting but you really need to have infinite period of time available to go up for auditions and then know that you’ll be free to do the job, so with having a band and having to go off on tour on short notice the two don’t really work that well together. I am trying to combine the two now in a show that will tour next year. We’re trying to put together a piece of theatre entwined within a series of gigs with our band and a few of the other artists we’ve mentioned, based around the morality plays. We’ve just done our first meeting about it. It sounds like a big undertaking, is it difficult trying to get everyone together now you’re all doing so well in your careers? There’s time if you make it. The show would be quite a big operation and a big project for our band we’d have to dedicate ourselves to it and rehearse. We’ve got tours until the end of the year so it’s quite hard to work out when you’ve got time to do stuff. Apart from that, what are your plans for the future? We’re demoing the next album at the moment. We’ve just got all the songs together and we’re literally right now in the process of rerecording a song that we did too slow. What’s the new album like compared to A Larum? It’s quite different, I feel like a different person to how I felt when I wrote the first one, with a different voice really. On the first album some of the songs were quite old, some were from a couple of years ago, they were a mixture. They kind of worked together, they were very much of that time period, I wrote them over about a five-year period. On this new one there’s one song that’s actually really old that I wrote about four years ago and I rewrote a bit of it and it seems quite relevant now. I left it out of the first album because I couldn’t really connect with it but I can feel it now.